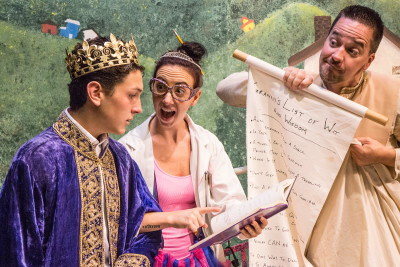 Learn about the history and science of communication at Ancients to Astronauts Exhibit, support Embrace Kids Foundation at the JC Kids Run 2015, or watch The Princess and the Pea. Attend Chowderfest, Botanical Fantasy, or Pumpkin Palooza! If we missed an awesome local event in New Jersey this weekend, please share below in the comments. Be sure to use #njmom and #njmomlife when sharing pictures on social media! A race for the benefit of Embrace Kids Foundation. Let’s help to improve the quality of life for children with cancer, sickle cell and other serious disorders while having fun with our little ones. Part of the proceeds will go to the Embrace Kids Foundation. The walk route is 3 miles and the activities included shopping with local vendors, inflatables, refreshments and Radio Station SOJO 104.9 and local DJ Papa John provides entertainment. The money raised ALWAYS assist local families through education, support, and outreach programs. Towacofest will feature over 100 vendors some of which will be selling a large selection of merchandise including handbags, jewelry, sports collectibles, incense & oils, crafts and unique one of a kind items. Bring your appetite and enjoy sausage & pepper sandwiches, smoothies, fresh squeezed lemonade, cheese steaks, kettle corn, chicken fingers, ice cream, zeppoles, shish kabobs, gyros, french fries, Italian ice and more! There will also be kiddie & pony rides, local merchants & civic organizations. Enjoy a day out in the sun and learning about Sea Isle’s fishing and nautical history. Enjoy delicious Ukrainian food, a pig roast, a bakery cafe, international beer, and children’s games for the little ones. The Latino Festival of Monmouth County (LFOMC) is a family function that includes music and entertainment. There will also be contests, food, face painting, clowns, giveaways, and much, much more! It’s time to celebrate the joy and privilege of just being a lovable family dog. Fido’s Festival USA® acknowledges the unique gifts and talents of ALL dogs—not just full breeds. There will be the latest products and philosophies of dog ownership and raise awareness of rescue and shelter efforts. The National Weather Service has issued a “Hazardous Weather Conditions” statement therefore Fido’s Festival USA® has been Postponed. A rain date has not yet been established, for more information please call 856-854-FIDO (3436) or visit their website. There will be fun activities at both locations including: pony rides courtesy of Okey Doke Ranch, a moon bounce provided by My Gym and JDogs, fall crafts, Farmer Tom’s hayride, a corn maze and paint-a-pumpkin. Pick up your admission bracelet at either location for a weekend of fall fun! This two day event features over 145 crafters offering hand made, vintage and upcycled items for the home, handmade clothing and so much more. Bordentown’s award-winning restaurants offer a wide assortment of tasty treats – from snacks to full meals. Modern Sage hosts Michel Tcherevkoff and his art installation titled Botanical Fantasy for the 2015 JCast Studio Art Tour. Michel’s work depicts nature, bags and shoes all created by using flower parts and hand-pieced together to create art. Follow Prince Valiant on his journey to find the perfect wife, and the spirited princesses he meets along the way! Come meet royal family and find out what it takes to be a true princess. 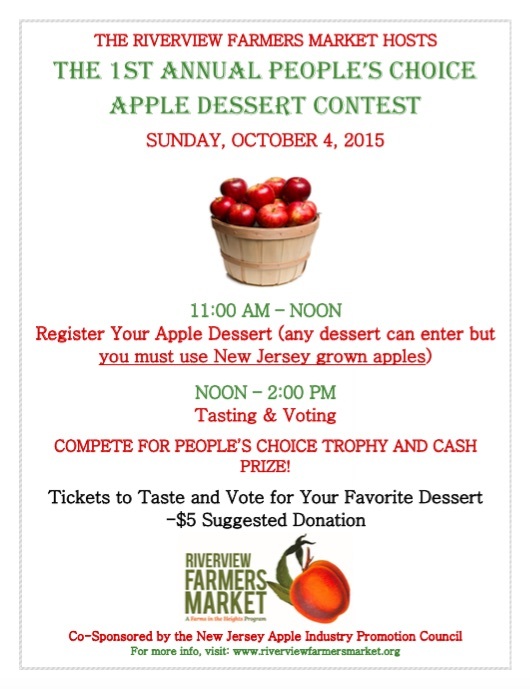 It’s fall, it’s apple season, and we’re in the mood for another dessert contest at the Riverview Farmers Market! You and your family can enjoy an afternoon amid the Color and Spirit of Fall. Walk among the pumpkins, corn shocks, and grinning scarecrows as you enjoy the wares of local craft merchants and railroad memorabilia dealers. From the ancient Egyptians to early rocket science and the future of space travel, the history and science of communication is brought to life through scenic displays in this hands-on, interactive exhibition designed for children ages 6 – 12 years. Visitors begin their tour with a walk through a timeline display providing a historical perspective of communication through many revolutionary discoveries.